If you were a kid growing up at the end of the '80s and into the late '90s, you very well may have known that home console gaming was in its prime glory in the Bush Senior and Clinton era. The new and as-of-yet unexplored frontiers of companies like Nintendo and Sega were fertile planting ground for now-classic and beloved franchises. Mind you, since access to information on the internet was not nearly as commonplace as it is today, video game information, tips and reviews were disseminated the old-fashioned way: print. Glorious, full-colour print. Nintendo Power was arguably chief among them, halfheartedly hiding the promotion of Nintendo's own software, yet offering unique insight and collectibles about everyone's favourite big N games. Since the publication is now defunct, anxiously waiting by the mailbox to receive each monthly issue may be lost on today's younger gaming crowd. 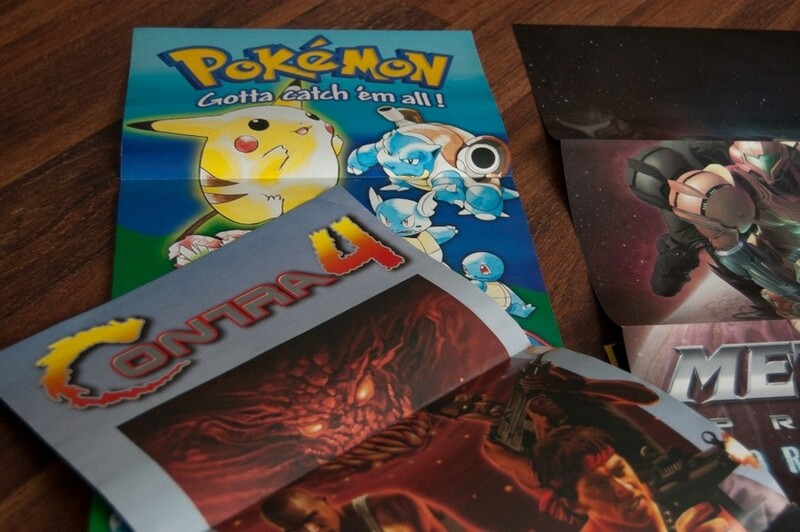 The edge to collecting the physical copies of Nintendo Power goes beyond mere nostalgia: Holding the artifact in your hands represents a time capsule from a time when game secrets were whispered in lunchrooms, and game universes were expanded by the imagination. Aside from all that fist shaking and mumblings of "in MY day...! ", the coolest part of Nintendo Power was the killer tri-panel poster that came as the magazine's centerfold each issue! Each one featured an up-and-coming game that, as we now know, had gone on in many cases to be a staple of classic gaming. Collecting the issues (and by proxy, collecting the posters) has become increasingly popular since its dissolution in December of 2012, releasing an impressive catalogue of issues since its first edition in 1988. 285 issues later, the popularity of Nintendo's franchises had grown but the increasingly free access to gaming news and information on the web dealt a blow to the paid subscription's appeal. It didn't take long, however, for nostalgic gamers to pine for the physical medium and begin assembling a collection of their own. Many prominent YouTube gaming personalities and streamers feature clever placing of these posters in the vignettes of gaming memorabilia behind them. It's for good reason, too: These posters often feature artwork not seen elsewhere, or just plain weird artwork that lends serious flair and retro street cred to a gaming room or nook. You've got to remember, when the artwork used in the early issues was being created, these game franchises were still in their youth, and so character design and colour weren't necessarily cannon yet ... which left us with some questionable alt-universe characters by today's standards! These weird representations make for some serious collectability. How about the completely bizarrely clad Trevor Belmont in the Castlevania III poster of issue 14, or issue 45's super-realistic and eerie representations of "Star Fox" characters? Perhaps you were a gamer during this golden age and for some outlandish reason missed out on the opportunity to become a subscriber, or maybe you just love classic games and are looking to rad up your game space. Whatever the reason for your quest for Nintendo Power and its posters, here's a few tips on collecting and representing one of gaming's most belovedly brazen propaganda publications! You'd be surprised what can pop up at a garage sale in your neighborhood. Although any type of gaming-related goods will likely be some forgettable third-party peripheral that your eyes glazed over at Best Buy during the PS2 era, once in a great while a wayward uncle will kick a whole stack of SNES cartridges into a Nike shoebox with a piece of duct tape that says "50 cents each." There's no reason you can't stumble upon a stack of Nintendo Power magazines! Some libraries are tremendously amazing resources for ancient magazines that will very likely disintegrate before their spines are cracked open again. Venturing down to take a look and inquire is free and in all likelihood will yield some cheap or free issues. Plus, maybe someone will see you at the library! While this option is a great way to get issues you're missing or that you really want the poster for, be ready to actually trade for it. As in, be sure that you've already started to collect a few useful issues that may be used as currency to acquire the issue you're after. The cool thing is that you'll be able to connect with people who love these classic games as much as you; who knows what kind of connections you can make. Here's a super easy way to get a hold of virtually any poster you're looking for: just search on eBay. For a price, you can hand pick from many different issues and even score an instant collection. For the super early issues of the late 80's, be prepared to drop a lot of coin as these are already serious collectors items and the cover art is iconic and uniquely recognizable. If you're needing some inspiration, ask yourself which games you loved playing, and then search this complete list of issues and their corresponding posters. Wouldn't it look cool if you juxtaposed a few of your favorites, a sort of "hall of fame", next to your bookcase of carts and collectibles? Don't be afraid to get creative and show your guests your impeccable taste in gaming! Do you have a collection of Nintendo Power magazines and posters, or is it something you're interested in doing? Let us know in the comments. Ryan Marchand enjoys sipping coffee and indulging in the nostalgia of retro gaming. He writes about video games for eBay.com. I had pretty much every issue from 1990-2000 plus all the Strategy Guides released in that time. Gave or tossed most of them years ago, which I now regret. I would like to see a book with every poster from the Nintendo Power Magazine so that way we'd have every poster throughout the years in one single collection. I miss gaming magazines. But they just cant survive after internet blogging came to. Huh, how do you turn a review about Castlevania 64 into a ten-pager? I know it's not the same, but I enjoy reading Nintendo Force and Pure Nintendo Magazine every month still. Nintendo Force still does some pretty amazing posters. My life is empty because you are gone. so is my mail box. lol I so wish some one would bring it back. wishful thinking. This article made me go to the shed, pull out the storage box with my NPMs, and thumb through my collection. Those were great days to get your issue in the mail. The Nester comics were fun too. I miss gaming magazines, but it's impossible to a magazine beat the internet. Print is dead. And THAT'S unfortunate. I had a subscription for 2 years. It was always so exciting when it arrived in the mail. I got the first subscription as part of a promotion for Donkey Kong Country 2. I had to collect several Diddy Kong head tokens on the sides of cereal boxes and send them in to quality for the subscription. I ate a lot of Cheerios but it was worth it. I think my parents kindly renewed it for me after the first year. Oh, and the posters were great but I never removed them. Sure, print is pretty much dead, but I still eagerly await my copy of EDGE magazine each month. 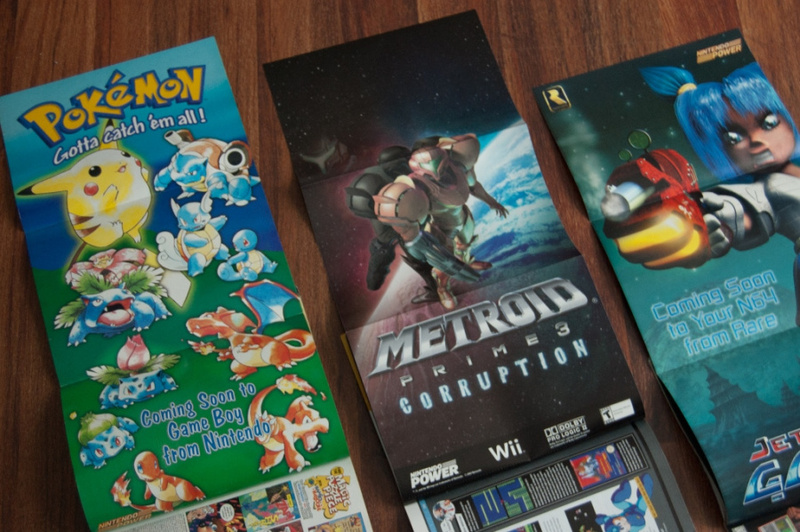 I feel like I need that jet force gemini poster. It is not a review as advertised. It is more likely a mini guide, something Nintendo Power often featured. My parents threw away most of my magazine collection as a kid. I still own every Nintendo Power issue to this day, along with the classic player's guides that came with renewal...even own some of the old brochures featuring Dr. Mario and Gameboy pamphlets. It is extremely fun to look back on them and see my childhood again. I still can't believe that I've had a subscription to the magazine for that many generations, but I always looked forward to reading it, even if I didn't have the latest nintendo system right away. I even still have some old Electronic Monthly and Gamepro magazines. My nintendo power's are still in a nice box with everything attached...including all posters, comics and the wonderful trading cards and sticker sheets. I just wish I would have collected everything that I could from Club Nintendo, instead of getting mostly game downloads. Anyone know of how much some of these items are actually worth??? if it wasn't for Nintendo Power I may be illierate. I loved getting these magazines in the mail as a kid. I remember me and my brother changed the controls on Super Metroid and subsequently couldn't sprint past the gates in brinstar as we had no idea how to dash. I remember raking leaves one Fall so we could save up enough money to get the strategy guide but all we needed to do was hold the a button lol! 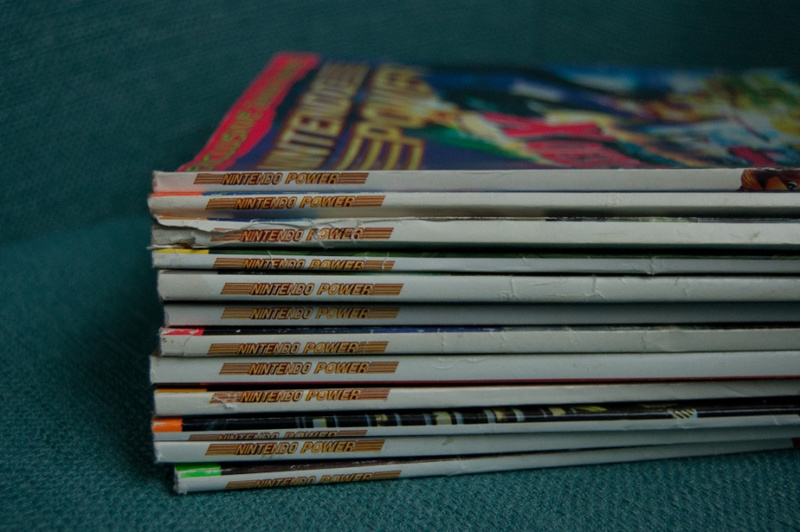 I was a Nintendo Power subscriber for years, and owned almost the entire first decade. Unfortunately, my collection was "misplaced" by my parents when I went off to college. A few years ago I started missing them and begin collecting them again via ebay. I wanted them for Nostalgia sake, as well as tips for my favorite classic games, and also for their great art. I now own quite a few, and I've also collected a few issues from the Nintendo Fun Club, which had some awesome covers as well. 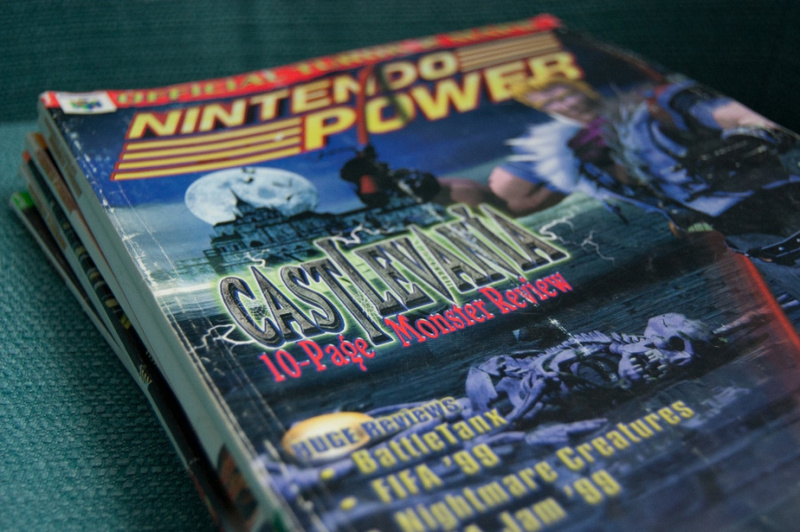 Nintendo Power also had game guides included within many issues, which are also very collectable. SMB 2 had two guides, Dragon Warrior had a mini guide and then there were the guides with tons of games, where you could check off which games you owed & wanted. It's great to have there, as it's a literal transportation back in time. If you lived through that era, and had these, you will enjoy taking a walk back in time. For me, it was a bit of an emotional experience, as it brought me back to my childhood. I bought all of mine on eBay. What I like about eBay is you can usually find many issues in mint condition. Almost every single issue I've bought, usually $10 or less, is mint. I see the prices have since surged though. But they usually all have the posters and the guides. My favorite poster remains the one from issue 2, from Catlevania 2, Simon's Quest. The map on that poster, of the world in the game, is awesome and remains one of the best. I do like the covers of the Fun Club. The hockey one with the Wayne Gretzky like guy is awesome, as is the Zelda cover. Reading them is a literal blast to the past, with tons of still useful tips & tricks. An 80s child should not miss the opportunity to grab a few. I also love a mini guide I collected called "How to win at Super Mario Bros.", which predates both the Fun Club and Nintendo Power, and goes through with fine comb, every single level of SMB. Very handy for Mario Maker! Magazines used to be such a big part of gaming, that any serious collector must add a few to both enjoy the old school games to the max, via the tips & tricks, as all a to relive that era, via the reviews, comics, sales charts, etc..that defined NP. I also love reading the old interviews, with current & past Hollywood actors, who would even try their hands at game reviews. Nintendo Power will always remain an indelible part of my youth & it is simply a joy to go back and relive my younger days via this print. We are very similar! Go to eBay for the values and be ready to be shocked! I still remember going to the mailbox, to find my new issue, days before it was released. Nintendo Power was the first thing I ever looked forward to getting in the mail, and I remember looking out for my mailman, obsessively, around the week the magazine was due. I always checked the charts first, to see what games were the most popular...They broke it out by gamers, counselors and sales reps, and then did a combined chart. I always checked to see what went up, or down, every month. I'm glad you still have your originals! That is RAD! If anybody is looking for a Nintendo magazine to subscribe to, check out Nintendo Force! So sad the only real magazine left is game informer. Horrible horrible magazine. Others are still being made but they have no presence. Loved Nintendo Power. I became a subscriber in 2004 and I stuck with it for the rest of its run. I recycled most of the contents of my Nintendo Power issues, would have donated if I realized back then that people were looking for them... However, I did rip out an extensive archive of NP's more interesting articles and posters that seemed extraordinary or ahead of their time. For example, the Epic Center coverage of Fire Emblem 4: Genealogy of the Holy War in the August 1996 issue, despite the Nintendo 64 being right around the corner, was my first exposure to the series. I would have been sad about it not coming over here if I weren't so excited for Super Mario 64! In hindsight, I applaud NP for showing Japanese titles in the magazine, even if we never got them. The best magazine, though, was probably Next Generation. It was a gaming magazine intended for professionals in the industry, and it had the writing chops and sophisticated technical journalism to match. If you wanted insider information, this was the magazine to get. That said, other magazines like GamePro and PSM were fun yet informative (and sometimes even poignant) in their analyses. I first subscribed to Nintendo Power in January 1994, and I realized by December 2003 that the complexity of the coverage was clearly intended for children by that point, so I unsubscribed due to outgrowing it. Nevertheless, I still appreciate NP's introductory style of coverage, as well as the occasional real world references (such as the children's Super Mario Club meeting with Bill Clinton to lobby for a resolution of the War on Drugs, which he ultimately responded to by signing NAFTA) and professional links (such as the Redmond HQ's own Digipen Institute). I have ever issue from 1 to 100 with the majority of posters still intact. They are a nostalgic trip for sure, I still read them regularly. I started subscribing again around 2008 and stayed with it to the end. The covers during that time were almost as good as the early days, although the content was usually pretty boring. After the magazine ended, I switched to retro gamer out of the U.K. It's expensive to get it delivered to Canada, but so worth it. Nintendo Power was always the highlight of my afternoon after a long school day. I got rid of a lot of them, but kept the ones that started shipping subscriber-exclusive covers until the final issue. I'll probably frame that "NP cover history" poster at some point; it was a very nice send-off for the subscribers. I have about 2-3 years worth of Nintendo Power Magazine, as I was a subscriber in it's last few years of it's run. I remember how much I couldn't wait to get the next issue after re-reading the current month's and past month's just for fun. It was also the topic of discussion at the lunch table once we all got our NP issue in the mail. Tearing these posters out was like doing math homework while taming a lion. With a lot of pictures and walktroughs of some parts of the game I guess.